We all know that pugs are great for our own health and stress levels. And in a lot of cases, they are brilliant for helping us through the tough times of mental health problems like depression. We have all had days where our pugs lift us out of that dark or difficult place. 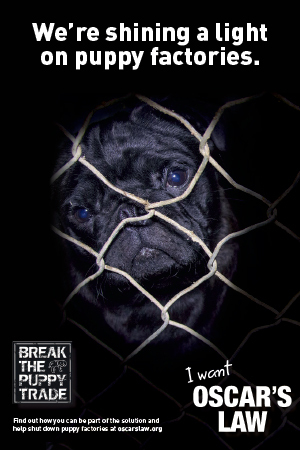 But what if your pug had the temperament to be a therapy dog and help many strangers to lead a better life. Doug the Pug from the UK is just that. He is a therapy dog. And he makes a difference to many people’s lives. There are many different types of jobs a dog can take on like a guide dog, an assistance dog or a detection dog, just to name a few. But Doug helps people in a different way. He has a pretty awesome job too. And one that doesn’t even pay. Doug is a therapy dog and what a therapy dog does is somewhat different. Therapy dogs are companion dogs who give beneficial therapeutic care to those who benefit from it or may just enjoy it. In other words, his job is to make people happy. And what a job it is. For Doug to become a therapy dog, he had to go through some rigorous assessments with a qualified and certified vet. 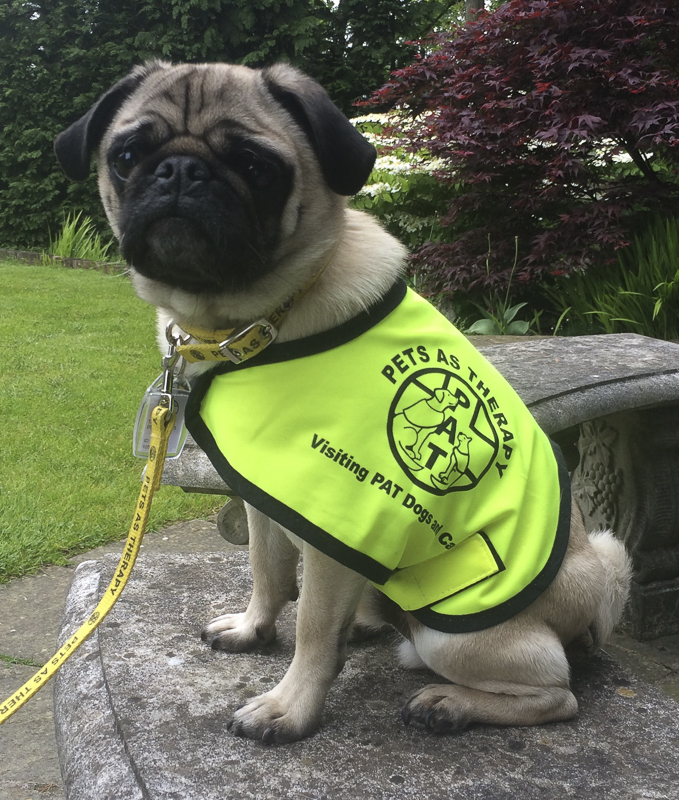 These assessments are so that the organisation he volunteers with, Pets As Therapy, are completely assured of Doug’s impeccable good nature and his reliable disposition. They needed to be 100% sure that he would not react negatively in any given situation even when in a stressful situation. And his mum had to go through some very thorough assessments as well to be sure she could be trusted as well. Now you may think that this is a pretty cushy job for Doug getting to go schools, hospitals and care homes to be patted. But Doug is no ordinary therapy dog. Both him and his mum prefer to go that extra mile and work with people that need a little more support or intervention in their learning and care. 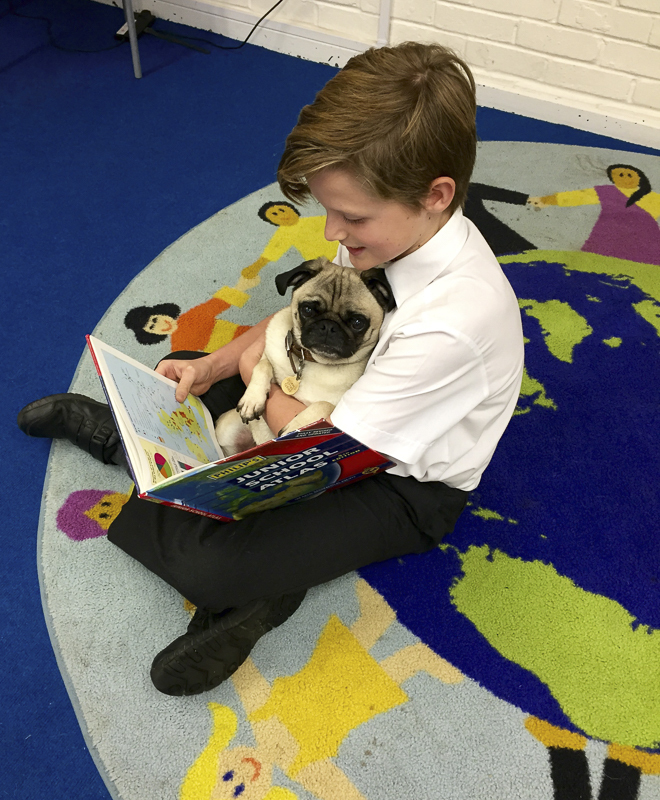 Doug works with children who need a boost of tender loving care and attention, children who need positive physical contact in their lives and he is also part of the Pets As Therapy Read2Dogs scheme. 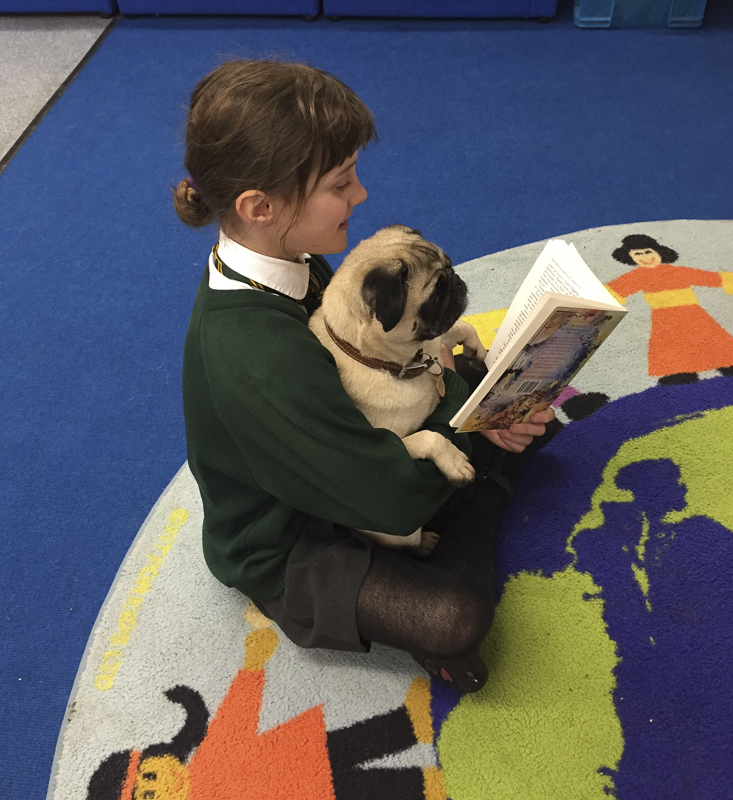 As part of the Read2Dogs scheme, Doug works with children who have difficulties with reading out loud. So rather than adding pressure of the children reading out loud to their teacher, they will sit down and read out loud to Doug who will listen tentatively and without judgement or correction. By being there for these children, he helps to boost their confidence with reading and making a difference to their lives. Doug and his mum are all sorts of amazing as they work 4 days a week helping so many people and all without pay. But not only does Doug dedicate his time volunteering as a therapy dog, he now has his very own book out that will help children with reading and all royalties go directly to Pets As Therapy. Doug’s book is a gentle story of Doug’s working life (weaving in examples of his quests) and its aim is to encourage children to regard school as a positive place, to celebrate each individual’s differences and recognise that we all have something quite wonderful to offer. Doug’s book is in two parts. The first is Doug’s tale and then an empathetic learning directives section at the back so that inquisitive children or their carers/therapists can discuss social/emotional issues from the story and then find out more about the ways in which animals help us and we can help them. Doug is an amazing dog and his life as a therapy dog coupled with his mum’s work to help as many people as possible is an incredible story worth sharing. 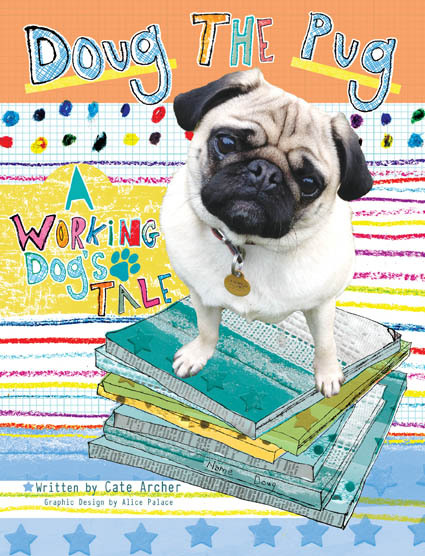 Doug’s book, Doug the Pug: A Working Dog’s Tale is out now. 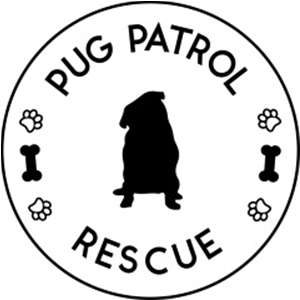 If you would like to get a copy or learn more about Doug’s work as a therapy dog, I suggest you head to his website at www.dougthepugtherapydog.com! And be sure to follow his adventures on Instagram and share his story. What a great idea to encourage children to read out loud, reading is such a wonderful learning experience and continues into adulthood. Doug is a gorgeous little Pug, I bet the kids love him. What Doug & Cate do is amazing. And I agree that the kids would love Doug. Thank you so much, Hazel – so sweet of you to leave such a kind comment for Doug. He enjoyed being back at school today and the children had so missed him during their half term break!